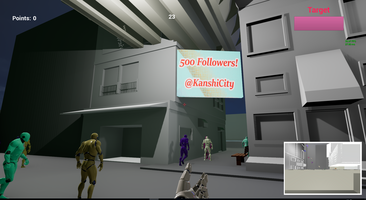 Here is the second Kanshi City development blog. It has been a month since the last one which is a little long. I had a week holiday in Venice during the past month so some development halted for that. In future we want to post dev blogs with a frequency of once every 1-2 weeks. I also made the blueprints for our citizens much simpler as it was getting out of hand, it feels good to refactor before you don’t know what your code actually does! Here is a bug I managed to produce in the process. Outside of programming I also spent some time experimenting with the art direction for the game. 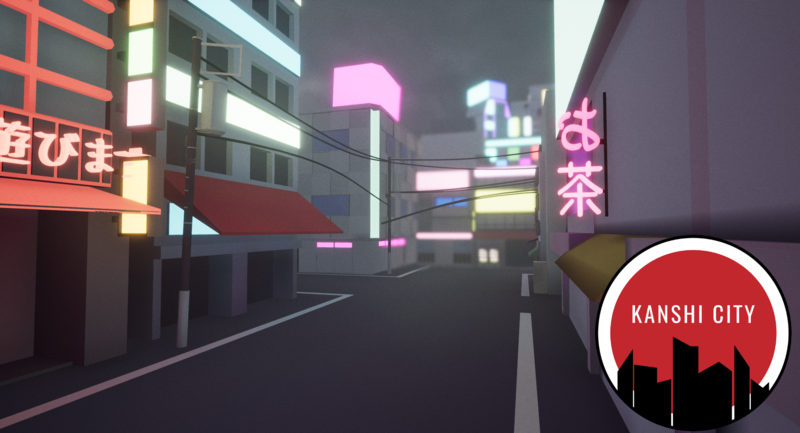 I modified the lighting to make the city darker as I originally envisioned the game to take place at night to get the bright neon signs look. 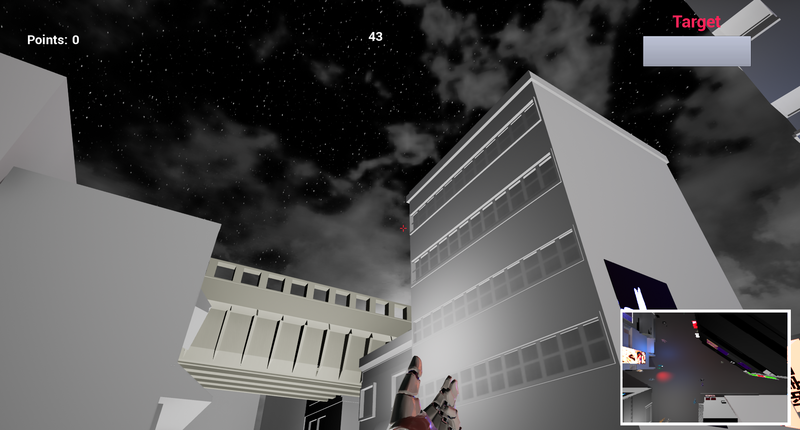 I used UE4’s skylight system to put stars in the sky which is a really nice effect. 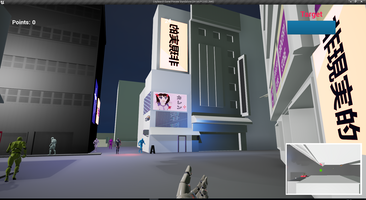 I also spent more time learning UV mapping with Blender to decorate our buildings with billboard textures. 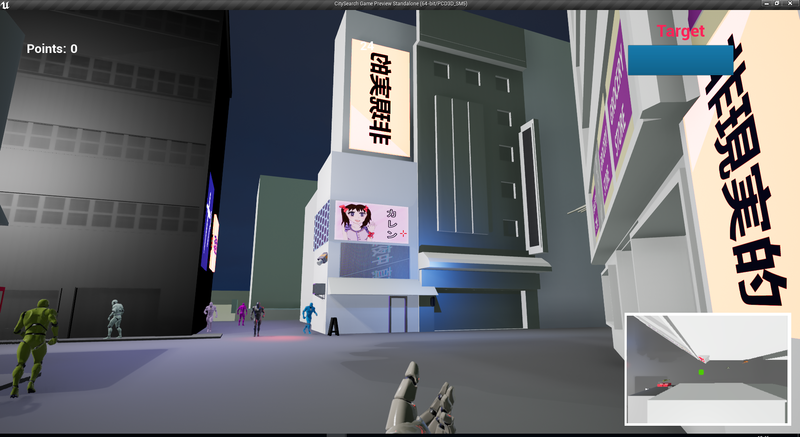 Further to this we put together some quick prototype anime inspired art to get an Akihabara scene, which is a small area in Tokyo famous for anime and electronics stores. We also reached a milestone of 500 Twitter followers during the month, and are quickly closing in on 700! Outside of game development we also had a meeting with a marketing group who expressed some interest in working with us to release Kanshi City to a larger audience. It was a very early introduction discussion so we have no deals in place currently and continue to work towards releasing by the end of the year or the first half of 2018. I am very happy about the recent Steam developments of replacing Greenlight with Direct. It means I can just pay the $100 submission fee and get my game up on the store without facing climbing a mountain to get the Greenlight votes. 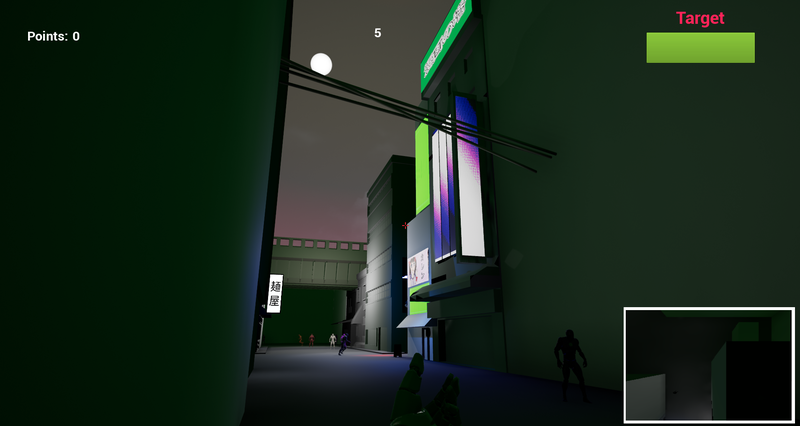 I still face the same marketing challenge to get the game in front of people, but at least I can get it on a store for sale as a good place to start. There is a new games convention having its second year in our home city next month which we are considering exhibiting at. 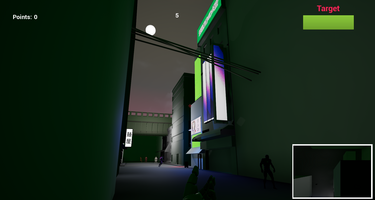 It would get our game seen by a lot of people in person and get valuable feedback and the game has not yet been played by anyone outside the studio. 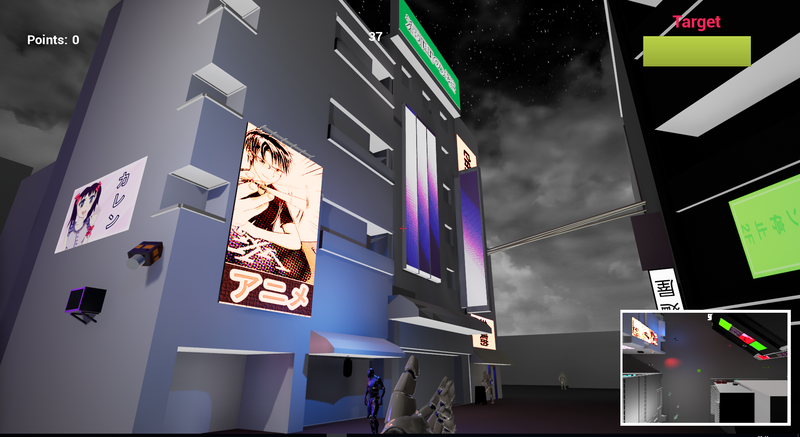 However the game is still in very early development so we may decide we are not far along enough to get the most value from showing it in such an event. 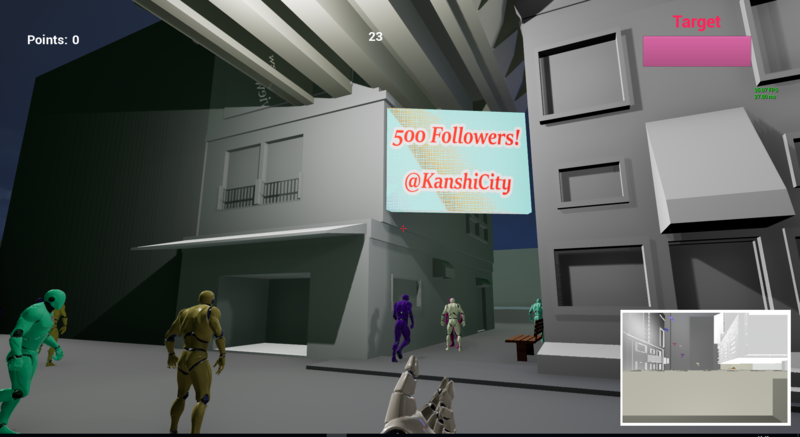 We hope to update you again with further updates in a week or two, thanks for following the development of Kanshi City!